First of all, I have to admit that this picture kind of creeps me out. It just looks like a huge deranged face. It shows lake Eyre in northern South Australia. Although it is a lake, in its usual state Lake Eyre is a huge salt crust covering most of the lakes bed lying idle. This lake is situated betweenn two deserts and evaporation is quite a topic out there. It has only been comp…(tharr be more)letely filled 3 times in the past 150 years. In the monsoon season the water level might rise from a couple of meters to all the way up, though this isn’t a given. This lies within the fact that Lake Eyre marks the lowest point on the continent. When the water does get to the lake, the salt crust gets dissolved in the water creating a giant salt lake. There are even fish and algae living in there. Unfortunately the fish don’t really live well in the increasing salt saturation when water evaporates and at a certain point of saturation the algae start coloring the lake in pink (beta-carotene). In this particular image you see that the lake actually isn’t filled all the way leaving a ?salt pan? in the center. Lake Eyre is an ever-changing environment, ranging in the extremes of climate. It is connected to a huge channel system, feeding and connecting the basins in monsoon season. 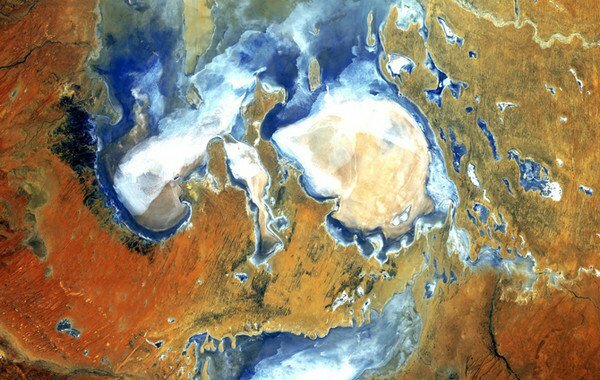 Lake Eyre can be classified as a pluvial lake. It is a landlocked basin, that gets filled by rainwater. Now why do we even care about this stuff? Any Aussie will tell you it’s mad to go out in the desert without a proper guide. There are actually townships built entirely underground to keep save from the heat. Monitoring a lake the size of 9500 square kilometers that knows about two states (melting hot or flood), is quite a task. Having Landsat record repetitive pictures of Lake Eyre’s full extent, gives us a mass of information we can use to evaluate more than just an image of a lake. Effects like La Nina influencing the monsoon season is of interest to meteorologists. Algae coloring an entire lake pink might be some topic of interest to biologists. I believe I need not elaborate on geologists loving the information how evaporites from their sequences in the lab deposited. And who knows if the information we can gather from the flooding of Lake Eyre won’t someday save some lives. The changing global environment is important to so many people especially since we are a growing community. 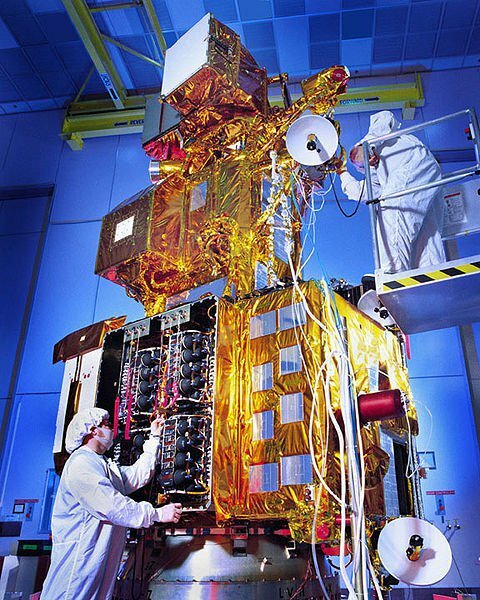 Posted in Earth Science and tagged Australia, geoscience, landsat.